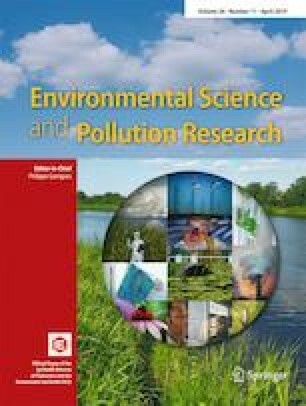 Autochthonous particulate organic carbon (POC) is an important precursor of humic substances (HS), and macrophytes represent the major source of POC in tropical aquatic ecosystems. Autochthonous HS influence the carbon supply, light regime, and primary production within freshwater systems. This study addresses the conversion of POC from two macrophyte species into HS and their mineralization under different nutrient conditions (oligotrophic to hypereutrophic). A first-order kinetic model was adopted to describe the conversion routes. The POC conversion rate to HS for detritus derived from Paspalum repens was similar under different nutrient conditions, but eutrophication decreased the kR (global coefficient reaction) for detritus from Pistia stratiotes due to its high detritus quality (C:N:P ratio). Fulvic acids were the main fraction of HS in both plants. The mineralization of humic acids from P. stratiotes was inhibited at higher nutrient availability, while eutrophication increased the mineralization of fulvic acids from P. repens. The main route of POC cycling is humification through fulvic acid formation (up to 40% of POC). The intrinsic characteristics of the source detritus were the main forcing functions that stimulated the cycling of HS. In tropical aquatic ecosystems, the degradation of autochthonous carbon decreased due to eutrophication, thus contributing to the diagenetic process in the long term. The online version of this article ( https://doi.org/10.1007/s11356-019-04882-z) contains supplementary material, which is available to authorized users. The authors would like to thank the critical contribution of Kevin Murphy (University of Glasgow, UK), who revised the English language in this manuscript. The authors would like to thank the Fundação de Amparo à Pesquisa do Estado de São Paulo – FAPESP (Process number 2012/21829-0) for their financial support.